Milan is a great destination for history and culture lovers. Cannot decide where to start? Here is a smart guide packed with Milan must vists! Santa Maria delle Grazie, Holy Mary of Grace in English, is the first place that should be visited in Milan by those who are into religious history or holy places. The church is included in the UNESCO World Heritage sites not only because of the outstanding architecture it has, but also because it is the home to one of the world’s most famous paintings ever; The Last Supper by Leonardo Da Vinci. Despite the major damage on the church and the convent, caused by the bombings of British and American forces’ bombings during the World War II, The Last Supper, which is located on the refectory of the convent luckily wasn’t harmed. It is known that the sand bags used as a protection disabled the convent to brake. Since then, remarkable measures have been taken in order to protect the painting. Piazza Del Duomo is the most famous of the “Piazza”s (squares) in Milan. It is the part of the world that looks like a catwalk stage surrounded by the beautiful Italian architecture and history. Without doubt, Piazza Del Duomo is one of the most iconic landmarks of not only Milan’s but the whole Italy’s. 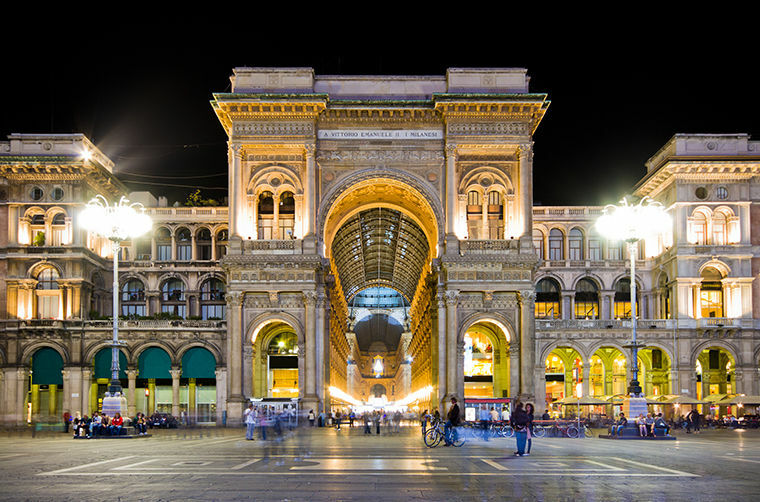 Piazza Del Duomo, along with Cavour Square and San Babila Square are the places that turn Milan into a fashion hub. The stores of the Italian brands’ you already know are located there as well with stylish cafes which give the place a scenic look with having some of the most important historical buildings in the background. Piazza Del Duomo is a great place to understand why this city is so important in world’s fashion scene. Even if you are not that into fashion, you should still see Piazza Del Duomo because it is basically the heart of the city where art and cultural attractions happen. This another must visit place of interest in Milan. The historical opera house, Teatro alla Scala, also known as La Scala, is one of the oldest opera houses in the world. The premiere of La Scala was Antonio Salieri's Europa Riconosciuta in 1778. The most famous Italian opera and ballet artists have performed on the stage of La Scala and in the last 200 years, the opera house has lost nothing from its importance and fame and still recognized as one of the most important opera houses in the whole world. The renovation that took place from 2002 to 2004 regained the opera house its functionality as well as worn out look. Although there were speculations about the renovation’s possible harm on the historical value of the opera house, the results were beyond expectations. Not only were the historical pieces reformed just as they were used to be, but also the stage was built all over with the expansion of backstage, enabling larger productions to be staged. You can visit the place, watch a performance there during the season or join one of the guided tours.